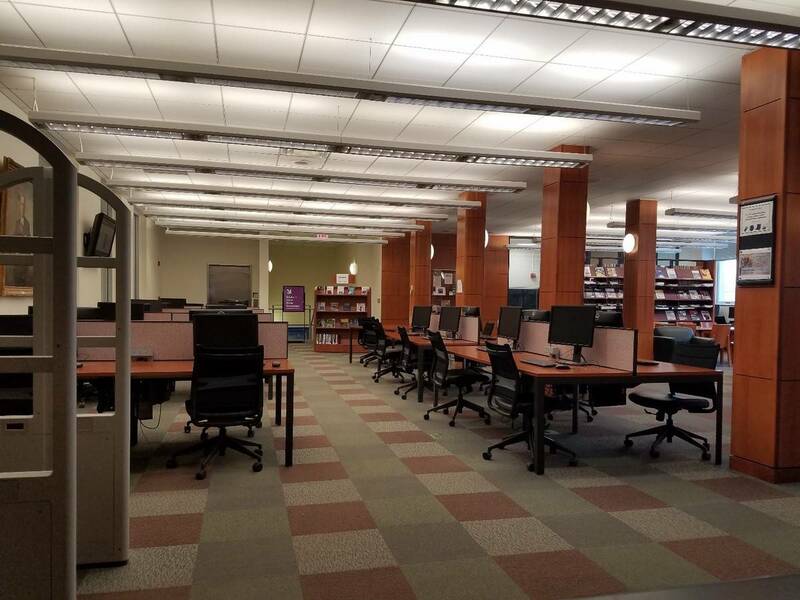 The earliest information we could find showing existance of an Engineering Library at Iowa was a comment, in the University’s Library report for 1879 that the engineering and normal libraries were included among the 9,594 books held by the General Library. It is not certain where this early engineering library was located. 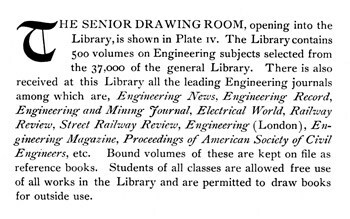 Given remarks made in later years about departmental libraries in general, in all probability this collection was in the office of the Professor of Civil Engineering, Philetus Philbrick. In the first years of the University Library, titles of newly purchased books were entered into a ledger or acquisitions book and assigned a serial number. The acquisitions books were some of the few items saved from the fire in Old North Hall in 1897 that destroyed two thirds of the General Library. The acquisitions books still exist. The first book purchased that is arguably an engineering book was listed as “Robinson’s Surveying and Navigation” with accession number 854. The oldest engineering title still found in the collection is noted as “Gardner’s Steam Engine” acquisition number 1857. The General Library reached 1410 volumes by 1861 and 8,561 by 1878, so the first engineering book was thus purchased before 1861 and the second one noted arrived well before 1878. The catastrophic fire of 1897 that destroyed most of the General Library, which was on the top floor of Old North Hall, did little damage to physical sciences books. These were elsewhere. They were saved because they were in the lab on the lower levels of Old North Hall which did not burn. 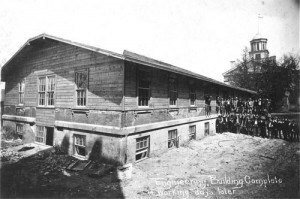 Where the physical sciences books and labs were relocated after the North Hall fire is not known, but by 1906 there was a general Engineering Library in what is now Seamans Center, and both Electrical Engineering labs and a Physics Library were present in Maclean Hall by 1913. South Building (Old South Hall), adjacent to the Old Capitol, was one of the first University Buildings. Established first as a dormitory, South Building gradually was taken over for other uses. 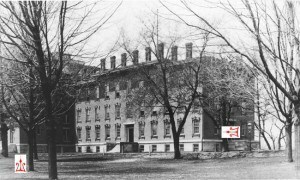 Prior to the construction of the Medical Building (Old Medical) in 1882, one of these was as quarters for part of the medical school. 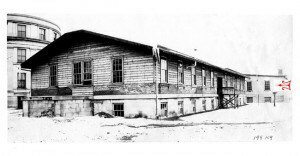 Sometime later the Civil Engineers inherited the first floor and basement of South Building. Among the rooms devoted to engineering was the first engineering library for which we could find photographic evidence. If one assumes morning, rather than evening, light, the library probably was in the corner marked on the photo of South Building. 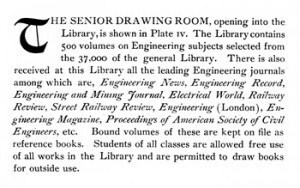 The caption to the photograph of the Civil Engineering Library in 1896 reports that the library contained 500 volumes. By 1901 when a catalog of the Civil Engineering Library was published it was 22 pages long. For librarians it is interesting because it shows not only which books were held, but how they were arranged. South Hall was in rather sad shape by 1900 as can be seen from the letter written by Professor Alfred V. Sims. The wearing of the floor paint he referred to can be seen even in the photograph from 1896. 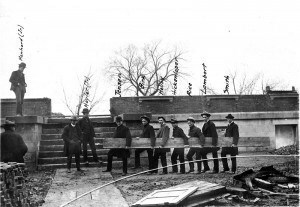 It is not known if Prof. Sims ever got his granite floor paint, but the point became moot on March 10, 1901 when a fire in Old Medical spread to Old South Hall and reduced both buildings to ashes. The medical library was utterly destroyed, but according to the General Librarian’s report, only 42 engineering books were lost. The rest were saved thanks to some (admittedly rather foolhardy) heroics on the part of students who were able to rescue much of the contents of South Hall before it was engulfed in flames. The Engineers were not much slowed down by the loss of South Hall. The basement was still there. 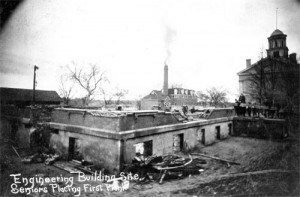 In fourteen working days they completed construction of a new engineering hall on top of the ruins. 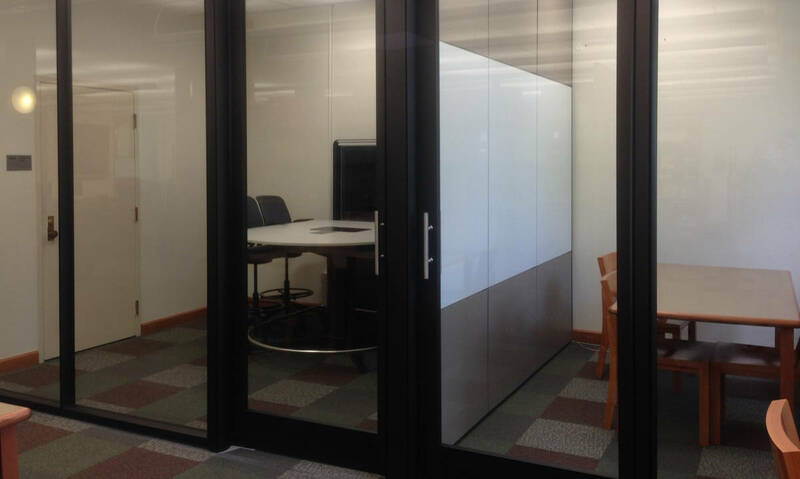 Known to engineers as the Engineering Shed (or just “The Shed”), the more architecturally sensitive called the structure “The Sheep Shed.” It is not known if the engineering library ever occupied any part of the original Shed. However, when it became known that the Medicals had no further need of “their” basement, the Engineers arranged to have a shed built over that too. 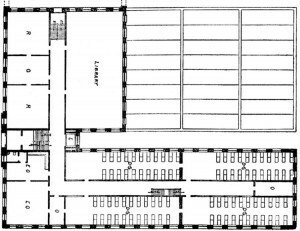 The floor plan of the “engineering halls” still exists. 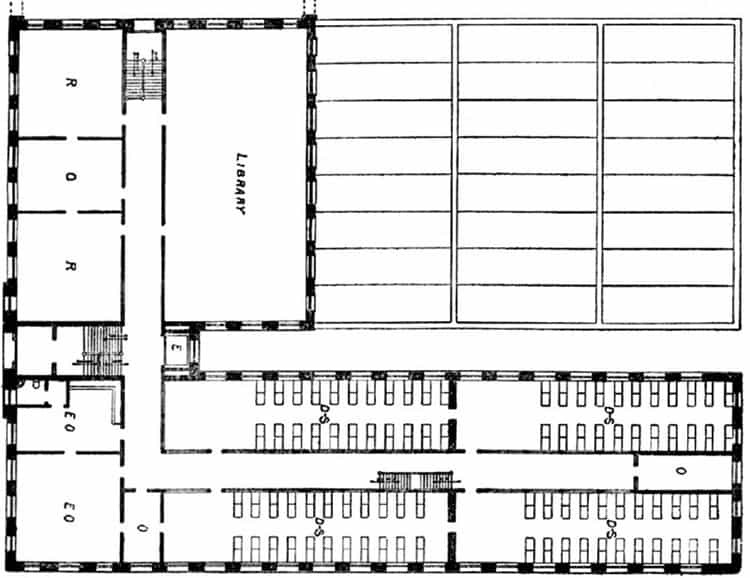 The engineering library is shown on the plan for the “medical” shed and can be seen at the arrow in the photograph. 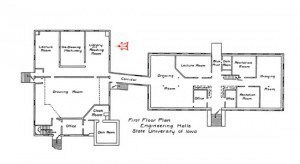 Floor plans for the New Engineering Building (the oldest part of Seamans Center) which was built in 1905-06 show an engineering library in the eastern part of the space now occupied by the Engineering Commons. At some time later (possibly when the section called the “Radio Wing” was built), one of the drawing rooms was converted into a library. 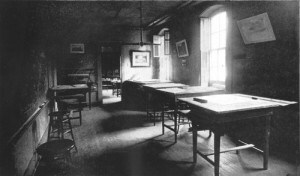 The first photo shows the room in its original form. 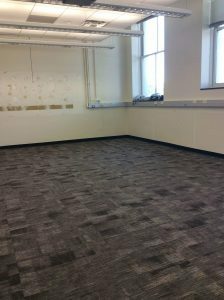 The next picture shows the same space as the upper level of the Engineering Library. 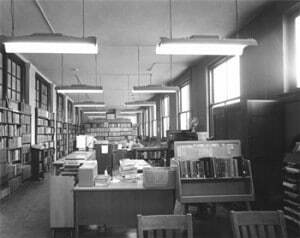 The library photograph is dated January 1966 just prior to a major renovation. 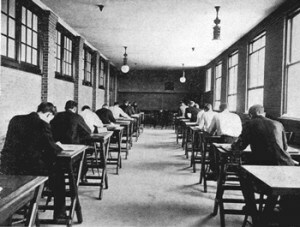 Note the floors, which are bare concrete: After 1901 the University took fire-resistant construction very seriously. 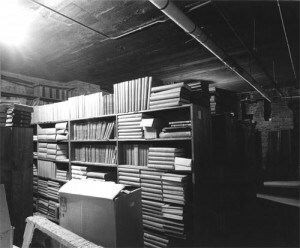 The basement level was also used for library materials at this point, though as can be seen it was rather a grim looking room evidently used mostly for storage of older materials. In the 1960s renovation, a second drawing room was converted for library use and the basement was finished. 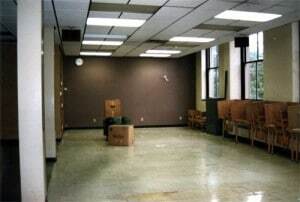 This was the state of library facilities until 1997. 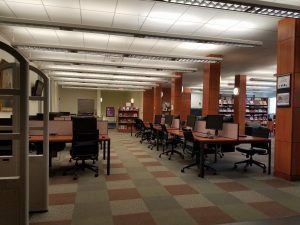 The last photographs were taken as the Engineering Library was being dismantled and moved into “exile” in the Main Library while Seamans Center construction was underway. 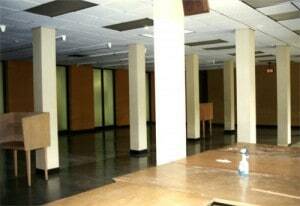 In May of 1997, the Engineering Library moved to Main Library while Seamans Center construction and renovation went forward. I should say it was moved, lock, stock, and book stacks. A fine example of hands-on librarianship! The small truck and a van made over 160 trips from the Engineering Building to the Main Library just down the hill. The truck odometer showed 34 miles. 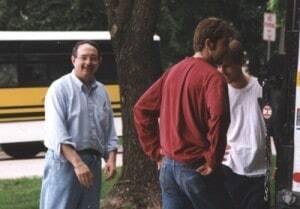 The smiling fellow seen in the picture of the truck and elsewhere is John Forys, who has now led the Engineering Library for 30 years. Fortunately for us, he is also an engineer. Without his careful planning the library would have been 75 tons of books in a heap. 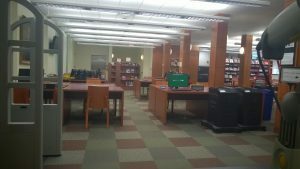 As it was, the library reopened in Main Library with all services three weeks after the move began. The last photo shows the “class picture” of the moving crew. The students in the group look like they are still ready for more. The librarians pretend to, but aren’t. Ah, Youth! During the four years “in exile” the CD-ROM era came to an end as a means for delivering information services. Only one of the numerous CD changers and towers came back to the new quarters in Seamans Center. 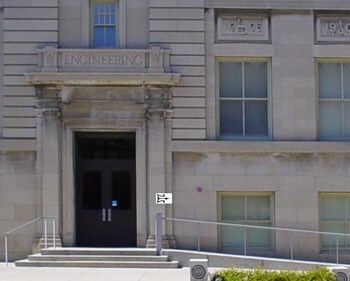 In 2001 the Engineering Library, now renamed the Lichtenberger Engineering Library, returned to the College of Engineering. 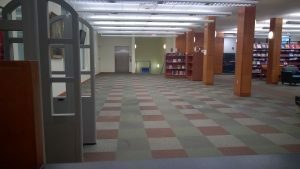 The main floor of the Library is where it had been before, but what a difference! William “Bill” Lichtenberger was born in Yugoslavia and raised in Des Moines. He Earned a B.A. degree in Science education in 1957, and a B.S. degree in Chemical and Biochemical Engineering in 1959, both from The University of Iowa, and an M.B.A. from the State University of New York. An exceptional student and engineering Bill worked his way through the ranks at the Union Carbide Corporation, starting as a research engineer in 1959, and becoming the company’s president and chief operating officer of Praxair Inc., a spin-off company of Union Carbide that is a leading producer of industrial gases. Patricia Thomas Lichtenberger was born and raised in Iowa City, and graduated from the UI College of Business Administration in 1956. 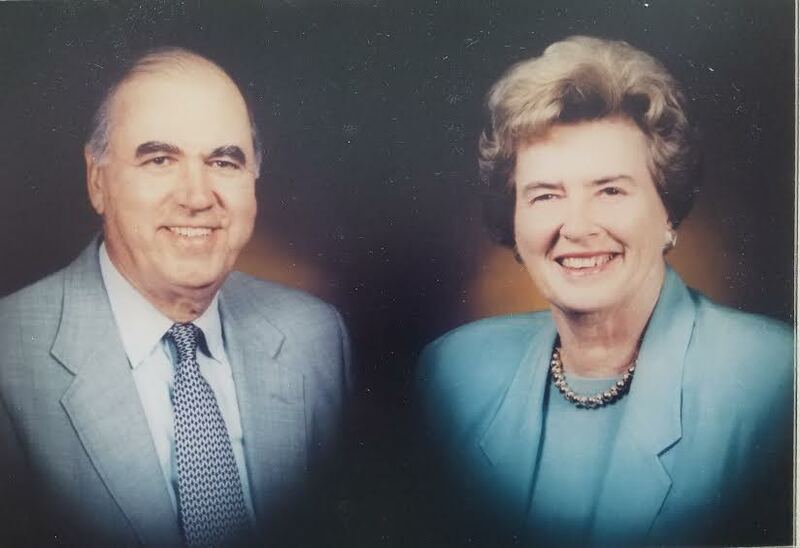 The Lichtenbergers have been generous contributors to The University of Iowa, creating the Lichtenberger Scholarship and providing major support for the Lichtenberger Engineering Library. Bill Lichtenberger received a Distinguished Alumni Award for Achievement in 1997 – the UI Alumni Association’s highest honor. The portrait is of Professor F.G. Higbee, who joined the staff of the College in 19 05, the year the present Engineering College building was begun. The portrait was painted in 1952 when he retired. 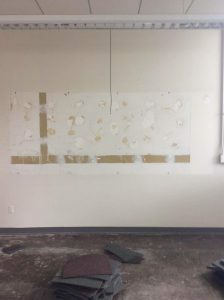 The painting was placed in the Library and been there ever since, a symbol of continuity. The outside of Seamans Center taken on Capitol St. near the corner with Washington St. The Library begins on the first floor, to the right of the arrow. The summers of 2014, 2015, and 2016 were busy with a major project each summer! 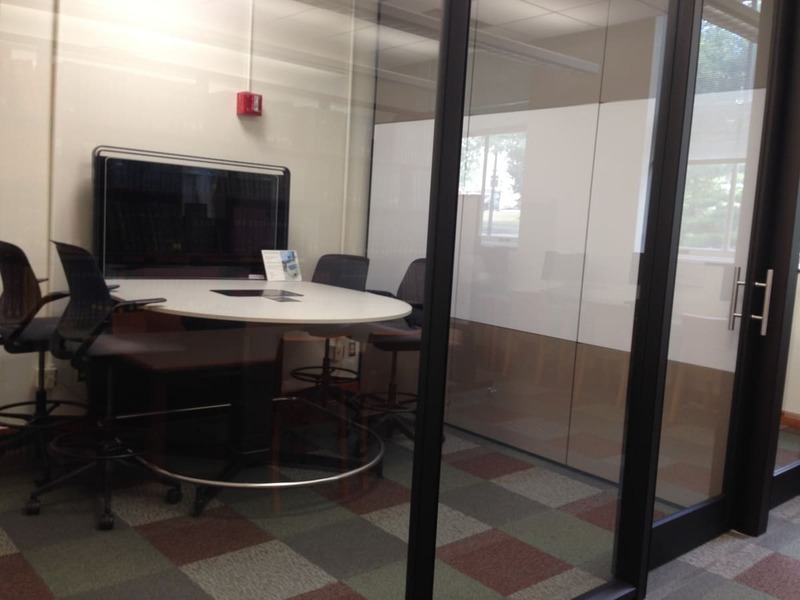 During the summer of 2014 Pod 1 and 2 were added to the corner of the library for group study. With a Media:scape in Pod 1 and large whiteboards in both. The project for the summer of 2015 was replacing the aging wooden chairs and tables that had grown older than the incoming freshmen engineers! 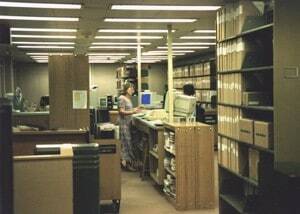 The face lift for the main computer section provided more work space for each seat. 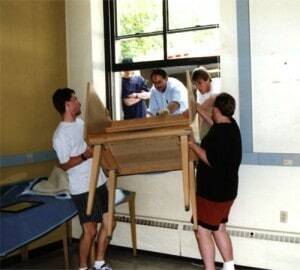 The printers were moved which allowed for extra computers to be added. 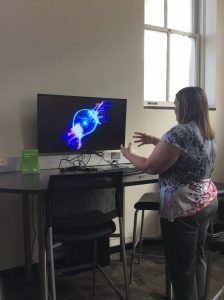 The College of Engineering already had the Electronic Shop and the Machine Shop in the Seamans Center, providing 3-D printing and other prototyping services. Essentially, all the College of Engineering was missing a place to design and develop these ideas before sending them to production. 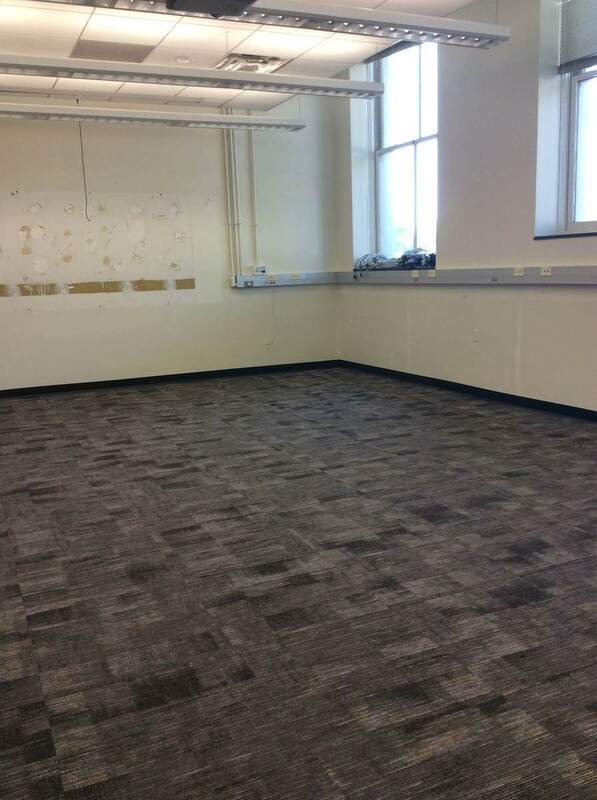 To create this space, in the summer of 2016, the Lichtenberger Engineering Library took a small computer classroom and a storage room and turned them into a 575-square foot makerspace called the ­­­­Creative Space. 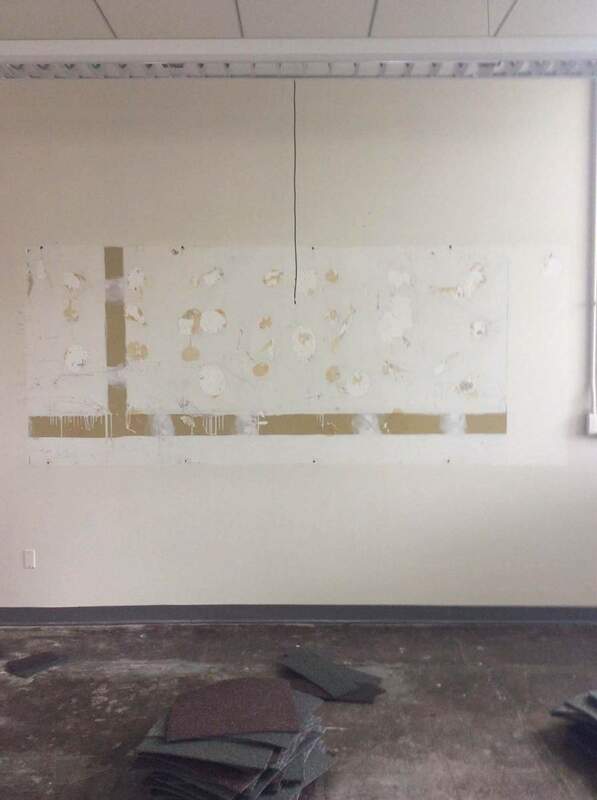 The wall between the classroom and the storage room was removed to make the space. The library’s newly renovated room includes tinkering stations with access to different technologies and tools and areas for collaborative work, featuring whiteboards and quad monitors. 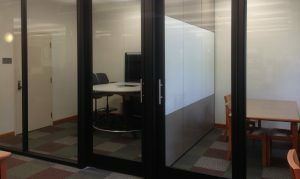 Thank you to the Engineering Technology Center for all their support through the process of setting up the Creative Space!